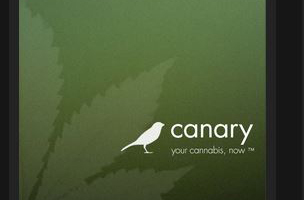 There are plenty of apps for delivering cookies but there’s only one app that’s making a delivering of weed: Canary. The Seattle based app is tapping into a green market, one that will potential blossom into some very satisfied, paying customers if all states adopt looser laws for creational marijuana users. Of course, this app will still be applicable for those living in cities where weed use is not criminal: Seattle & Denver. for those smokers and eaters, the app delivers personal orders straight to a door. They will offer 24/7 availability and ease of legal verification. Of course, no weed store, digital or physical, is complete without the munchies, especially the special kind. We’re sourcing our strain attributes and reviews from a wide variety of partners. With Canary, you’ll always have the most up-to-date selections. Our catalog includes popular food and drink items to satisfy your insatiable appetite. Yeah, we’ve thought of everything. Interested users can sign up on their website to be notified of the app once it’s ready. Think of it as Uber for your pot.